More than one in five people use ad blockers in most major markets, with that number far higher among younger people, according to new academic research. 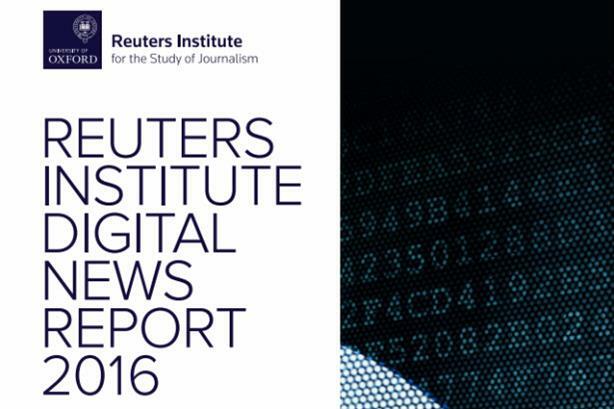 This is according to the fifth Digital News Report from the Reuters Institute for the Study of Journalism (RISJ) at the University of Oxford, published today with support from a range of partners including Edelman UK, Google, the BBC and several universities and research bodies. It includes data from YouGov, which surveyed 53,000 people across 26 markets. It found that the number of people using ad blockers ranged from one in 10 in Japan and 12 per cent in South Korea, to more than a third of people in Poland (38 per cent) and Greece (36 per cent). The US (24 per cent) and UK (21 per cent) lay towards the middle of the global spread. People aged under 35 were nearly always more likely to use ad blocking software - ranging from 56 per cent of Poles and 51 per cent of Greeks, to 35 per cent and 32 per cent in the US and UK respectively, down to a more modest 12 per cent apiece in Japan and South Korea. It also found that while the majority of ad blocker users (92 per cent) do so on their laptop or desktop computer, a third of survey respondents in some countries plan to install an ad blocker on their smartphones in the next year (this question was asked in Germany, the UK, and the US only). The reasons for using ad blockers were more often related to ads being annoying than technical reasons related to page-loading time or battery life on mobile devices for those users who do have an ad blocker on their smartphone. The report also shows that 51 per cent of all those surveyed use social media as a source for news each week, with 12 per cent citing social media as their main source. More than a quarter of 18- to 24-year-olds say social media (28 per cent) is their main place to go to for news – the first time this figure was higher than for television (24 per cent). The number of people willing to pay for news - either through subscription or where they have been asked to pay as a result of using an ad blocker - was generally low, especially in English-speaking markets, and in the UK it was just seven per cent, the lowest figure globally. However, it is slowly increasing in some markets. The report, whose lead author was Nic Newman, a research associate at the RISJ, says: "The issues surrounding paying for online news are more important than ever. As publishers struggle to generate sufficient revenue through advertising, they come under even more pressure to convince consumers to pay for access to digital content. "On top of this, the rise of ad blocking software has forced publishers to think seriously about their reliance on certain revenue streams. In this section, we look at the potential drivers of payment, how much on average consumers are paying, and consider some of the potential barriers." Reuters Institute director David Levy said: "It's clear that news is as popular as ever, and distinctive journalism is still valued by consumers. New brands are not yet replacing older ones in terms of the quality and range of output. The problem of how to pay for high-quality but costly journalism becomes more pressing than ever."